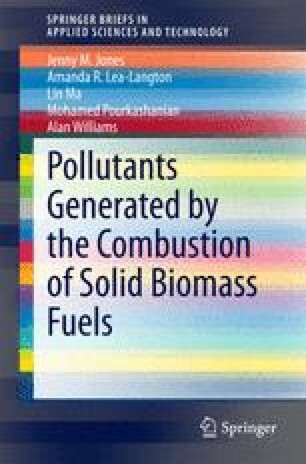 Emissions from different types of combustors and their control methods are outlined. These include emissions from fixed and travelling bed combustors and emissions from large industrial combustion plants. Emissions from wild Fires are also considered.